Have you ordered your vegetable seeds? 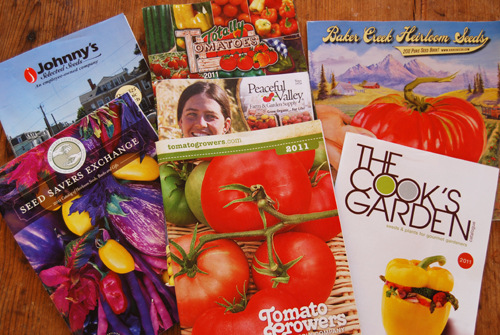 Looking through all the seed catalogs and planning what you’re growing next year is fun to do in winter. Now is the time to order your vegetable seeds if you haven’t already done so. Seed starting will soon be upon us! Many cool season crops can be started inside soon (some now) and put out in March and warm season crops can be started from seeds inside 6-8 weeks before the first frost-free date. 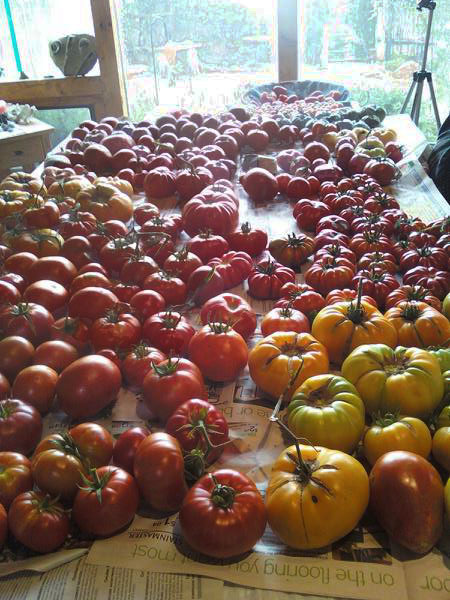 Hard to think about starting any seeds when the weather is cold, windy and ugly but it is almost here. I have ordered some seeds but still have to get some and already feel a little behind. If you are not one to start seeds inside, that’s ok-just wait till the nurseries get their transplants out later this spring and let them do the work for you. And don’t be afraid to buy transplants. I once was told you’re not a real gardener unless you grow everything from seed. Bull@#$%! Out here we need all the help we can get so I’m not against buying plants from nurseries at all. Besides I like supporting our local economy as well. So I grow some vegetables from seeds and buy some from the nurseries. What matters is that you get out in your garden and enjoy yourself and the fruits (or vegetables) of your labor. While teaching the SF Master Gardener Vegetable class last week, one of the facilitators for the class, Helena Van Heiningen, came up at break to give me some new ‘seeds’. 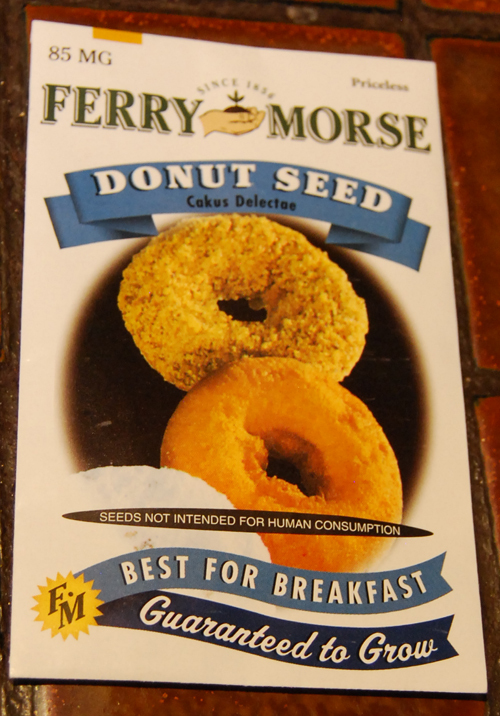 Donut seeds. They come from Ferry Morse and the package is really fun! Check out the front and back of the package below! Hmm! I’m gonna have to plant some of these! I wonder if they germinate in coffee?! Still time to order seeds if you haven’t already. I need to order my seeds Monday, now that I’m home from the show so I get them in time to plant in March. Probably most of you have already order your seeds. I only need to order a few as I still have many seeds that I will regrow this year. It feels late but it is what it is. Last year I started the seeds the first week of March. Because it was such a cold spring, I couldn’t get them out till late May and even June last year They got too tall in the house, but what was I to do? Stick them out in 27°F weather? I’m still going to plant seeds from March 1 -15, inside, under the lights and hope with this La Nina we have that all of us will be able to sneak out some of our warm season crops early—think April 15th! It’s always a crap shoot when trying to decide when to plant seeds but I’m going early! Bring out the gro lights! (I hear, “oh no” in the background!) I do have ‘plant envy’ for those of you have greenhouses or hoophouses! I’ve researched and updated the seed list I posted earlier about a month ago and thought some of you might like to know where I buy either the seeds or in some cases, the plants ready to transplant here in Santa Fe. So first I created a legend with abbreviations for each seed/nursery and then put them at the end of each seed listed. Hope this makes it easier for you so you don’t have to figure it out. 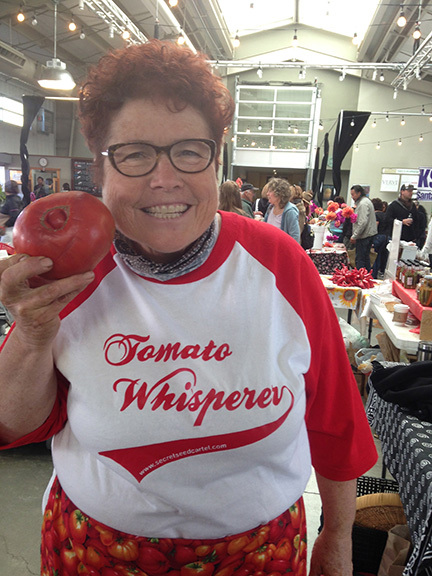 I also show which tomatoes Amy Goldman’s ‘The Heirloom Tomato’ book recommends which I use as my ‘tomato bible’! I’ve put this in my page section called ‘Seed Lists’ at the top of the blog for later reference. If you just can’t bear to throw out those old seeds, here’s a test to tell how viable your older seeds are. Take 10 seeds and soak for about 1 hour, then put them between damp paper towels and in a plastic ziplock baggie. Put in a warm spot (on top of your refrigerator or on a grow heating mat). Keep checking them daily and when you get them to germinate, count up how many actually did germinate. If you got 3, then you have a 30% germination rate, 5 would be a 50% germination rate and so forth. If you only get 1-2, throw them out, their not worth the trouble. So if you have a 100 seeds, then you can be pretty assured that around 30 would germinate (30% rate). 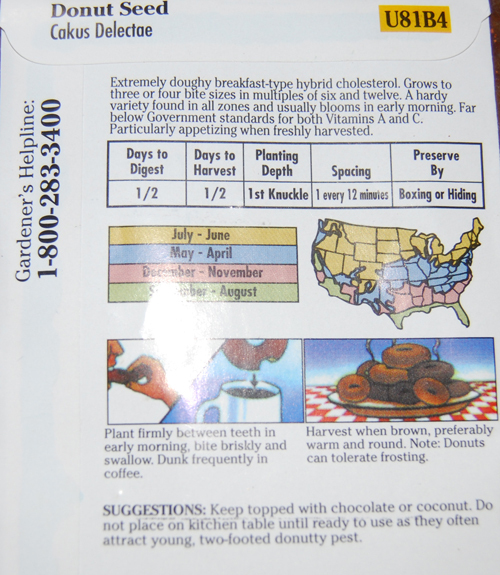 I also got 2 new seed catalogs-One’s called ‘bbbseed’, which features heirloom vegetables and wildflower seeds. It’s veggie section is little but what interested me in the catalog is it comes out of the Denver area and seems to be a good resource for wildflowers for our areas. You can order a catalog at www.bbbseed.com. 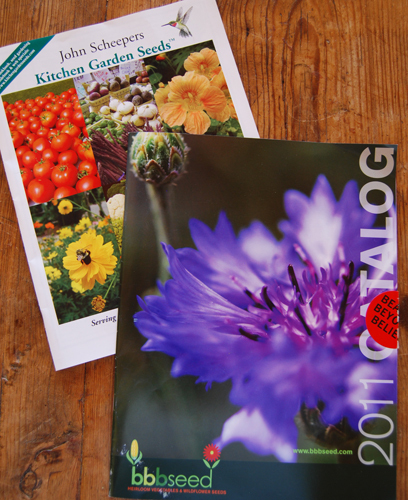 The other catalog is John Scheeper’s Kitchen Garden Seeds. It looks interesting with it’s larger veggie and flower section. You can order one from www.kichengardenseeds. 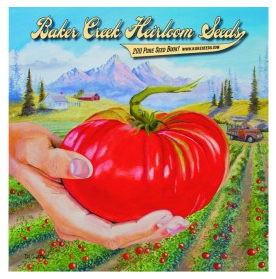 2011 Baker Heirloom Seed Catalog Arrives! My 2011 Baker Heirloom Seed Catalog arrived and just in time for me to cuddle up by the fireplace with it and a hot Mexican coffee while it snowed outside. If you are a veggie/flower gardener, this catalog is the most beautiful I’ve ever seen and has a wealth of information. It’s pictures inside are big and gorgeous and make me want to buy everything! It is by far my most favorite seed catalog and if you want to order one, it’s free here at Baker Heirloom Seed (www.rareseeds.com). I get many seed catalogs every year but this catalog is always the best one-year after year. Did I say it snowed? Yes, snow! We haven’t had any measureable snow here in Santa Fe until yesterday. We got 16 inches of snow (that equals 1.6 inches of rain-10 inches of snow = 1 inch of rain) where I live and I’m so glad because we really need the moisture right now. Hasn’t felt like winter here till this weekend. Now we don’t have to water for awhile!